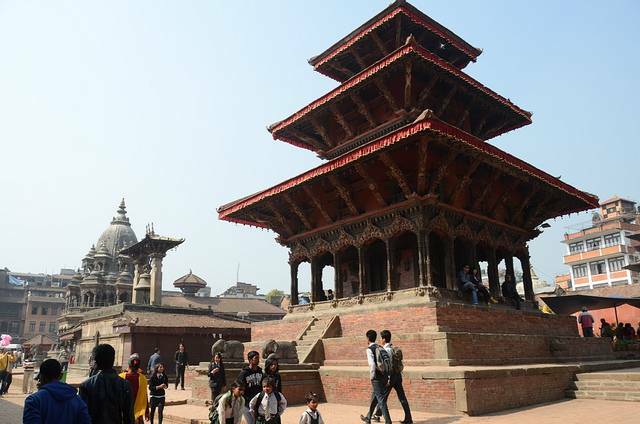 Another religious shrine located in the Patan Durbar Square, the Hari Shankar temple was built in the 18th century by the daughter of king Yoganarendra Malla. This three-storied temple is dedicated to a very unique deity who has half traits or attributes of Lord Vishnu and half of Lord Shiva. The roof of this temple is carved with glimpses of the tortures one faces in hell after death. This temple is now totally destructed by the 2015 earthquake that took place in Nepal.